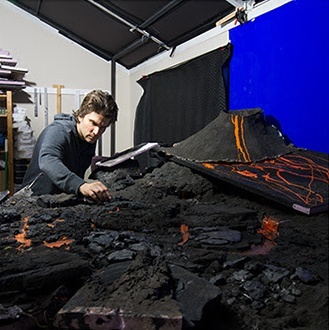 (Left) Artist Adam Makarenko creates alien planetary surfaces like this volcanic landscape using a variety of materials such as foam insulation, plaster and sand. PC: Keck Observatory. W.M. 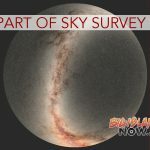 Keck Observatory has completed a year-long project to render realistic recreations of alien worlds using scientific data and artistic interpretation. Called the Exoplanet Imaginarium, the collaborative project explores 12 different extrasolar planets in stunning detail. 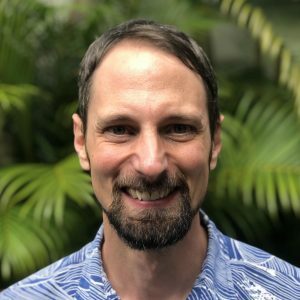 Working together with award-winning artist Adam Makarenko, Keck designed the imaginarium as in interface between science, technology and the arts, and to fulfill the dream of anyone who wonders what exoplanets might look like in real life. 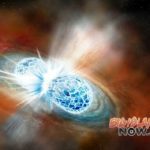 Scientific calculations used in the renderings were completed by Keck Observatory astronomer Carlos Alvarez. 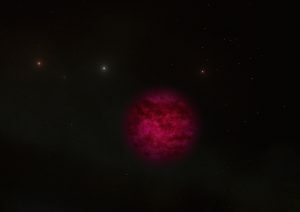 The data offered insights into density, atmospheric composition and classification for each exoplanet. Since scientific facts could only go so far in creating visual representations of these alien planets, the ‘unknowns’ were filled in using creativity and imagination. Makarenko’s work in the renderings is composed of hand-crafted planetary models made of plaster, plastic or foam. The models were painted using a variety of paint mixtures to achieve specific effects, then suspended in front of a black background and photographed. The results give the work a tangible quality that transports the viewer to far-away worlds beyond our solar system. 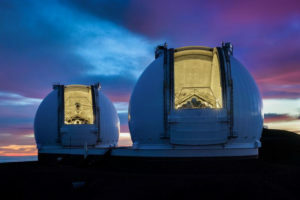 Images and descriptions for the 12 exoplanets are available at the Keck Observatory website. Exoplanet Imaginarium Team. PC: Keck Observatory.